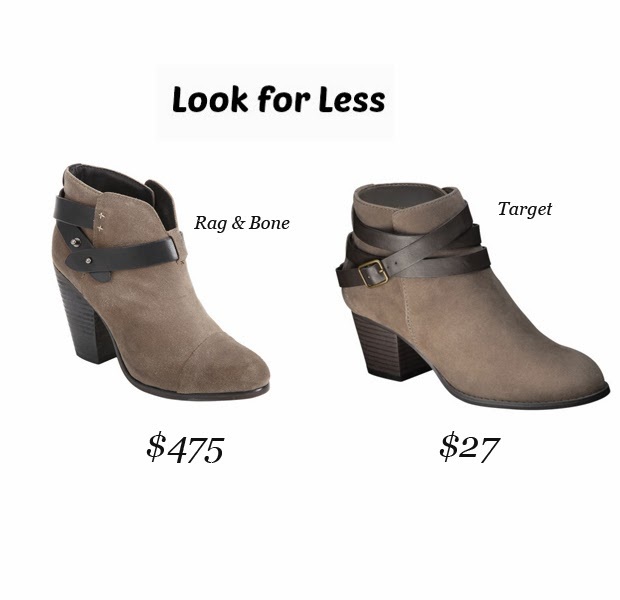 We actually featured this Rag & Bone Harrow boots 'Look for Less' a few weeks back (here), but this time, we spotted an even better look for less and for such an amazing price we just couldn't help but share. I actually spotted it yesterday while doing some shopping at Target. I wasn't really buying anything exciting, just baby stuff. While I was making the line at the register, I noticed a girl was buying these boots! Aren't they so cute? And they're a steal for only $27 bucks, beats $475!